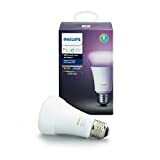 We’ve got another great roundup of daily deals to help you enjoy what’s left of your weekend, and the stars of the show are definitely white Philips Hue LED bulbs for $12 a piece and $15 off color Philips Hue LED bulbs. Other top deals on Sunday include a rare chance to save on 12-month PlayStation Plus membership codes, the best fast wireless charging pad we’ve ever tested for only $13.29, an extra 10% off a compact Bose sound bar that’s already surprisingly affordable, all-time low prices on lightning-fast Samsung EVO microSD cards in two different sizes, Anker’s best true-wireless earphones at their lowest price yet, $250 off a powerful Dell laptop when you buy a refurb, and more. Check out all of today’s top deals below.